last night was super fantastic amazing beautiful. 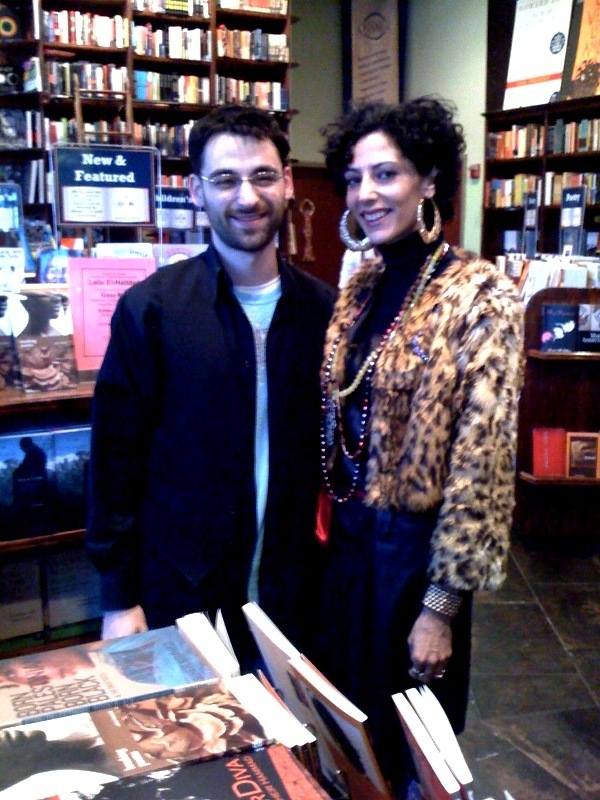 i got to meet and hang out with Suheir Hammad, who is a much better poet than myself. i could not have asked for a better gift. here is her and i in the bookstore. you can see her books on the bottom left here on the checkout counter. her performance was vivid, captivating, and very real. i was humbled to be able to perform a piece opening up for her and Ruth Forman and Carolyn Forche. all of this was made possible thanks to Hedgebrook and Busboys and Poets. i left U street that night walking on air, happier than i’ve felt in a long time. more pics and video coming soon.